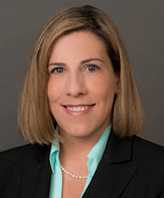 Michele A. Crosa, a partner at Eisinger, Brown, Lewis, Frankel & Chaiet, P.A., is an experienced litigator and trial lawyer specializing in the representation of condominiums, community associations, hotels and other commercial entities. Ms. Crosa’s practice, which primarily maintains a condominium and community association focus, includes representation of clients in state and federal court with regard to matters involving real estate, commercial litigation, construction, bankruptcy, premises liability and representation of insureds in general liability and property damage matters. In addition, Ms. Crosa devotes a small percentage of her practice to real estate and/or commercial transactional matters as well.She was admitted to the Florida Bar in 2007 and is also admitted to practice before the U.S. District Court for the Middle and Southern Districts of Florida, as well as the U.S. Bankruptcy Court for the Southern District of Florida.